Nothing is worse than dealing with a shady tree company. Rather than focusing on performing the highest quality of work, they spend their efforts trying to nickel and dime you. Rest assured that you won’t have to deal with such nonsense at Pro Tree Service. We’ve been in business for nearly 30 years, so we certainly know a thing or two about the industry. Along with being an industry leader, our commitment lies in providing the best tree services at the most affordable rates. Never will we attempt to trick you with hidden fees or gimmicks. Whether you have commercial or residential needs, you can feel confident in our expertise and quality of service. Tree removal – Have you noticed natural splitting or cracking at critical parts of your tree? What about damage from previous storms? Another reason your tree may have to be removed is because of disease or safety issues. Whatever the case may be, Pro Tree Service can help. We understand removing a tree is costly, which is why we offer our Best Price Guarantee. Keep in mind that a full-service tree removal includes removal of all branches, logs, and major debris. Stump removal is included in our estimates. Tree trimming – Were you told to trim and/or trim your tree on a regular basis? Whoever told you that is wrong. The fact is the constant removal of limbs and branches can actually shorten the life of some trees. Pro Tree Service has the tools necessary for both trimming and pruning. Bonded, licensed, and insured, we will get your tree back to being healthy and beautiful. Land clearing – Is there a large volume of trees or debris that need to be removed from your commercial property? Put it in the hands of the experts at Pro Tree. We will clear the land effectively while keeping your project on time and under budget. 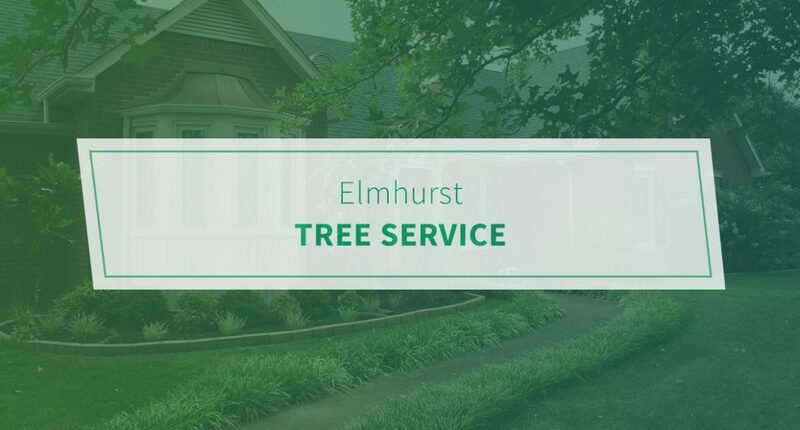 See why so many homeowners in Elmhurst choose Pro Tree. Call us today.